U.S. Gold medalist Jamie Anderson was seen taking out a set of ear buds after her win in the slopestyle event. Snowboarder Seamus O’Connor of Ireland said “If I forgot my headphones or if my phone died then I’d be really, really upset. It would definitely change my performance if I didn’t have my music”. American Luger Kat Hansen says “Strictly Beyoncé. My girl Bey. She just gets me fierce and I get stoked and I just have to (dance). I have good mojo going on so it’s just how I roll”. I’ll have your mojo workin’ when you're listening to In The Mix with HK this weekend. 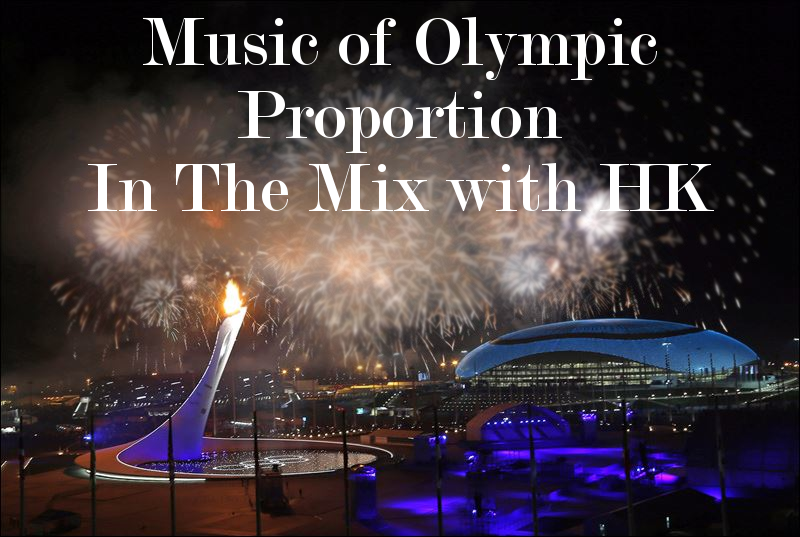 I’ll be throwin’ down remixes of Olympic proportions on…….Pharrell Williams - "Happy", One Republic - "Counting Stars", Shakira & Rihanna - "Can't Remember To Forget You" and Miley Cyrus - "Adore You". And that's just part of the first set. It's gonna be like an Olympic Decathlon leaving you in a pool of sweat by the time I get done with the likes of Avicii, Zedd, Passenger, Aloe Blacc, NoNoNo, Katy Perry, One Direction and more! CELEBS IN REHAB BUT MUSIC IS THE BEST DRUG!